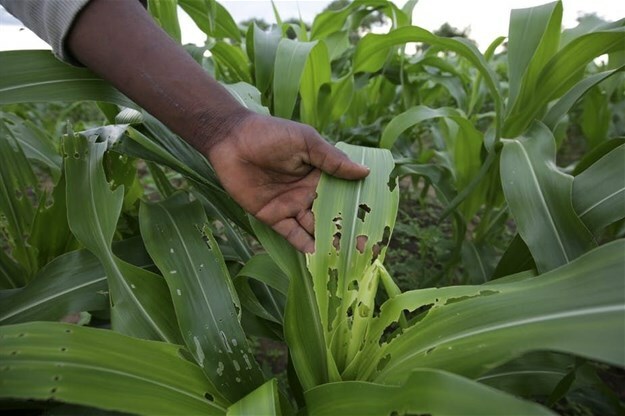 Our study assessed more than 50 biopesticide active ingredients which have been registered in fall armyworm’s native range in the Americas as well as in some African countries. In our assessments of each biopesticide, we reviewed the literature and regulatory documents with the aim of answering five key questions: Is the biopesticide effective against fall armyworm? Is the biopesticide of low risk to human health and the environment? Is it sustainable? Is it practical for use by smallholder farmers? Is the biopesticide available? We recommended follow-up action for biopesticides which passed these key criteria. Through our research, we identified 23 active ingredients that we recommended for further consideration. We also identified eight active ingredients that should be brought to market immediately. These include products containing neem plant extracts and Bacillus thuringiensis, two of the most widely used biopesticides globally. This includes fast-tracking product registration, as well as reviewing and updating information materials and recommendations for farmers, as well as taking into account product availability. Roger Day, programme executive at CABI, also contributed to this article. Dr Melanie Bateman is a Lecturer in ICM Masters programme jointly organised by CABI, University of Neuchâtel.